Interactions between caregivers and their children play an important role in the development of social communication skills. Features such as contingent parent responsiveness, infant-directed speech, and gesture use are associated with language learning and use in infants and toddlers. Children diagnosed with autism spectrum disorder (ASD) often exhibit delayed language development and struggle with both verbal and nonverbal social communication skills. 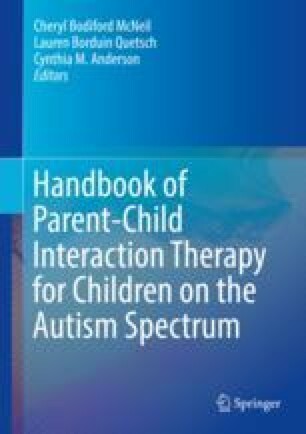 Evidence-based interventions, particularly those based in applied behavior analysis, promote pragmatic use of language and improve social communication in children with ASD.